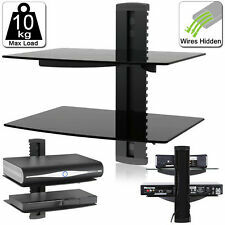 Sutable for living room, bedroom, bathroom, kitchen, etc. The Brackets are constructed from high quality Stainless Steel,ensuring quality and longevity. 2x Shelf Brackets. Material: Iron. Size: 16x13x16cm (The error is about 0.3-0.5cm). 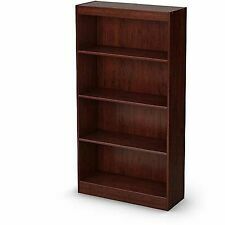 Vintage Solid Wood Peg Joint Open Book Shelf for Paperbacks 16" X 8" X 5"
Bookcases are an essential piece of furniture to have in your home. They improve the design of many rooms in the home, while also providing a practical place to store your possessions. 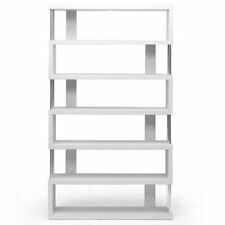 Bookshelves come in a variety of materials, finishes, and shapes, so it is easy to find a shelf or cabinet for your home. What can you use a bookcase for? Books - Of course, this the obvious thing to put on a set of shelves. If you love to read, you can create your own home library. Art - If you have statues, figurines, vases, or other art pieces, you can use the bookshelf as a display case. Collections - A nice set of shelves is perfect for storing any special collections you have. Clothing - If you need extra storage space, use a bookshelf instead of a cabinet or closet. Putting a different type of clothing on each shelf makes it easy to grab what you need. You can also get small storage bins to place on each shelf. Plants - A set of shelves in a sunny location is perfect for displaying and storing an indoor herb garden or a set of succulents. Do you have to assemble bookcases yourself? When picking furniture for your home, you may have the option of getting a pre-assembled cabinet. 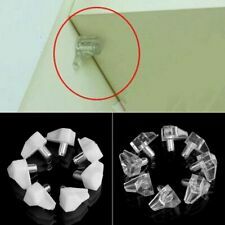 You can also assemble the pieces together yourself if you choose. Both options are available. While a pre-assembled cabinet saves you from putting the unit together yourself, they are also a bit heavier to transport. Whether it needs to be assembled also depends on what material the shelves are made of. Solid Wood - Real-wood furniture is often at least partially assembled. Fiberboard Wood - If the shelf has a finish made out of engineered wood like MDF, you will probably need to assemble it yourself. 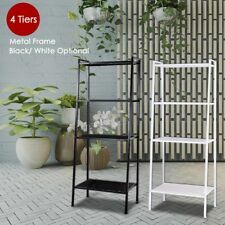 Modular - Modular shelf systems let you purchase individual shelves and combine them to create a unique piece of furniture. You can sometimes find partially assembled units, but you will still have to combine the pieces yourself. Vintage storage options - Buying a secondhand shelf is an easy way to skip assembly while getting a charming and durable piece of furniture. 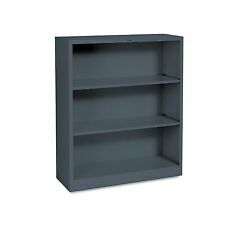 What types of bookcases are available? 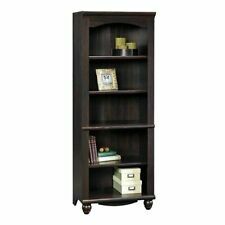 Bookcases typically come in natural-wood finishes, or they are painted black or white. 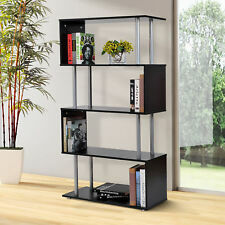 There are many styles and shapes used for bookshelves. 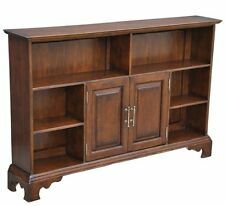 Cabinets - This type of bookshelf is normally solid and large, and it may even include drawers. These often come with glass doors to protect your books or collection while still showing them off. 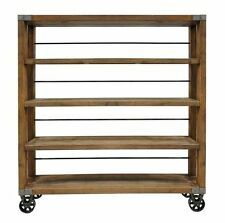 Wall shelves - This type of bookshelf is a great way to store items in a living room. It can also help keep them away from tiny hands. 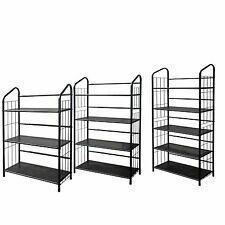 Free-standing units - Free-standing three-shelf and five-shelf bookcases typically have long, adjustable shelves that can be placed at different heights. Cube organizers - Cubed storage organizers have both vertical and horizontal dividers. They often come in modular designs that are ideal for storage or decor.